Founded in 1780, Mack Rides is one of the oldest ride manufacturers in the business; its products in demand now more than ever. 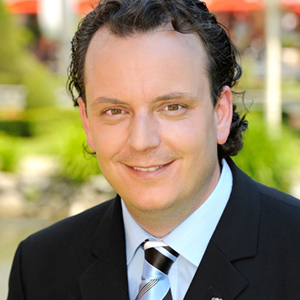 Michael is the eldest son of Europa-Park co-founder and industry stalwart Roland Mack. Keen not to rest on family laurels, Michael established his own company, MackMedia, in 2002. This produces content including 3D/4D movies, as well as having an ongoing collaboration with VR Coaster, virtual reality being one of the ‘hottest’ industry trends of recent years. A member of the European board of IAAPA and the VDFU (German association of amusement parks), Michael Mack has been named a “top next generation entrepreneur” by Campden FB. Together with his brother Thomas and sister Ann-Kathrin, he represents the eight generation of the Mack family to live, sleep and breath the amusement industry. They surely won’t be the last.